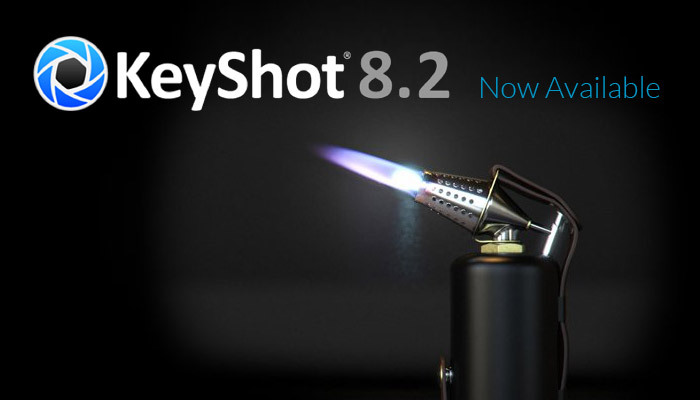 Introducing KeyShot 8.2 which current KeyShot 8 users can upgrade to today for free. If you already have KeyShot 8 installed, you’ll be prompted to update to KeyShot 8.2 when you start up KeyShot. You can also go to the KeyShot Help menu and select Check for Updates… to start the update. If you’re a KeyShot customer on maintenance subscription or purchased KeyShot 7 after August 15th 2018, you may upgrade to KeyShot 8.2 today using your current serial code. You can expect your workflow in scene setup, material application and rendering to flow much better. Users are now able to pause offline rendering at any time, and if you use interior mode, you’ll notice improved speed and performance. Along with this, there are many, many updates and fixes to the KeyShot UI, making elements and actions more consistent and work how you expect them to. KeyShot Network Rendering for Linux is here. Both Master and Slave can now be installed on Linux. There’s also a silent installation option for KeyShot Network Rendering on MacOS as well as many more Network Rendering improvements. 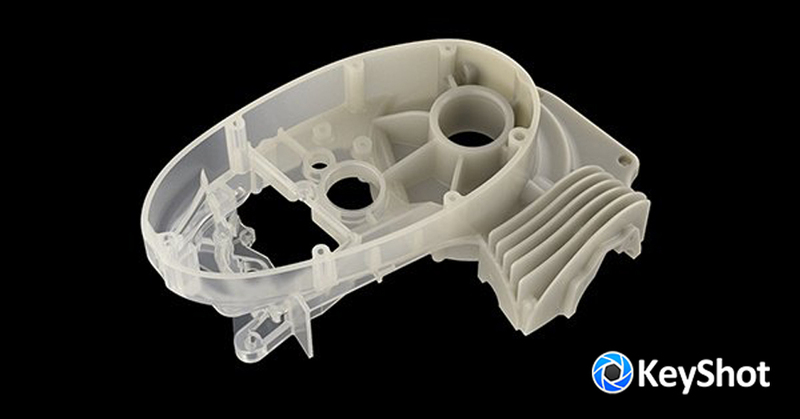 Perhaps the most input provided by KeyShot users was regarding KeyShot integration with 3D modeling software. Too many updates to list have been made, but the top improvements include optimised and updated SOLIDWORKS integration, direct import of Autodesk Revit 2019 files, and support for Vertex Colour and Deformable Curves included in Alembic output. 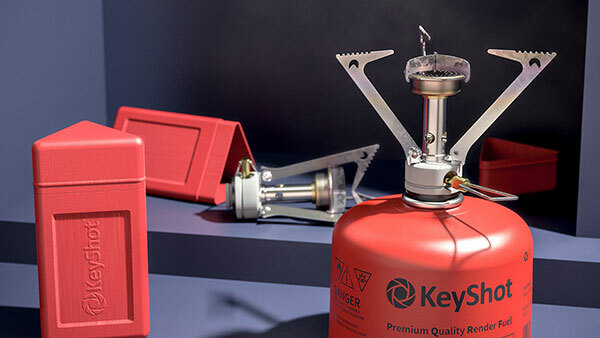 If you haven’t tried it yet, we invite you to try KeyShot 8 and tell us what you think. If you would like to purchase KeyShot 8 or upgrade your current KeyShot license, simply visit our website, or contact us! The fastest, most powerful software for real-time 3D rendering and animation brings you even more ways to create amazing shots. KeyShot 8 provides the advanced features and flexibility you need to take your visuals to the next level. With new features like displacement, volumetrics, cutaway, images style and more, it’s a release focused on boosting your workflow, elevating your visuals, enhancing your experience and extending your reach. This is KeyShot 8 – tools that put the emphasis on the flow and less on the work to both save time to keep you creating. KeyShot HD, KeyShot Pro and KeyShot Enterprise available from CAD Software Direct. There are a lot of great new features in KeyShot 8 to help you throughout the process of creating visuals whether it’s creating quick concepts or generating those final product renders. We’ve picked five to highlight for you that will have the biggest impact on what you’re now able to create in KeyShot. Image Styles is a new feature that allows you to make photographic adjustments to the KeyShot scene in real-time prior to or after rendering. Multiple Image Styles may be created and added to a list for a range of different styles that can then be used in KeyShot Studios. The Photographic option includes adjustments for Tone-Mapping, Curve control, Color adjustments, Background color override, and the ability to apply a Frontplate. Cutaway is a new approach to creating advanced cutaway graphics which allows you to use parts and 3D primitives to cutaway geometry by assigning the Cutaway material to the object. The Cutaway material also allows you to add and define the Cutaway Caps as a shaded color, the same material as the object to be cut or as a custom material. Additionally, all cutaways may be animated. KeyShot now supports the creation of scattering media that allows you to simulate particle scattering and volumetrics such as smoke and fog. This can be used in conjunction with physical lights for visualizing rays/beams of light. With this, you have the option to apply a Density Texture, and apply it just as you would to any other material. Additionally, you can extend the control of the scattering with full support for OpenVDB files applied to the Density Texture as a Volume Map. Displace – Displace allows you to modify the geometry through the use of displacement maps (textures). Displacement maps define the topology of a material similar to a bump map but instead of simulating the height of a surface it actually modifies it. Bubbles – Bubbles allows you to modify the geometry by automatically adding spherical cavities within an object. Control is provided over bubble size, variation, density, and limit. Additionally, a texture can be used to define the density of the bubbles. Flakes – Flakes allows you to modify the geometry by turning any object into a three-dimensional volume of square or spherical flakes. Control is provided over flake shape, size, variation, density, and limit. Additionally, a texture can be used to define the density of the flakes. KeyShot Viewer is a new, feature-rich application to compliment design reviews, make presentations more interactive, and increase the ability to collaborate. 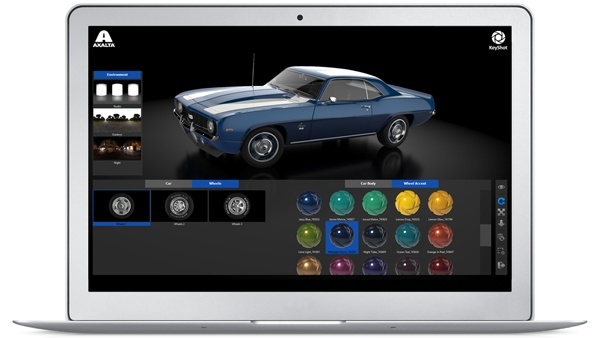 With it, you can open, view and interact with a KeyShot scene in real-time using mouse, touch, pen or stylus to explore the scene or change materials and lighting. You can create Studios and Configurators from within KeyShot for use in KeyShot Viewer as well. Are You Ready For KeyShot 8? If you’re a KeyShot 7 customer on maintenance, or purchased KeyShot 7 after August 15th, you can upgrade to KeyShot 8 today using your current serial code. If you would like to purchase KeyShot 8 or upgrade your current KeyShot license, please visit CAD Software Direct or contact us today. See the new features like displacement mapping, materials with embedded flakes and bubbles, volumetric materials including volume caustics, liquid interfaces, interactive cutaways, interactive image color and intensity curve adjustments, material ways for advanced product configurations, and much more. We expect this to fill up fast and space is limited, so register quickly! Have questions about render settings for particular materials? Learn the ins and outs of light settings, the important KeyShot material options and how to determine the appropriate values for specific render output. Sign-up quick as space is limited. They launched one of the most innovative new home products, taking on a challenge many may not even think about – food storage. 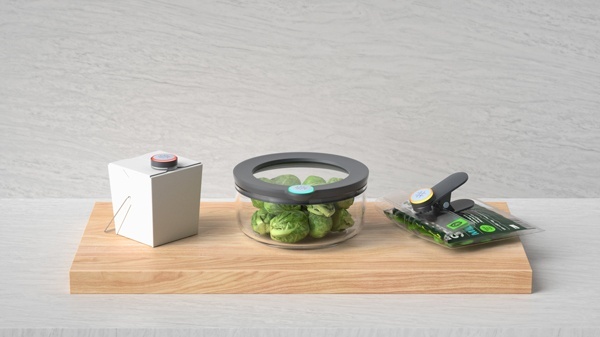 It’s brought intelligence to food storage and they’re using KeyShot to communicate the design. Alex is an artist in the entertainment industry as well as an instructor at Learn Squared. 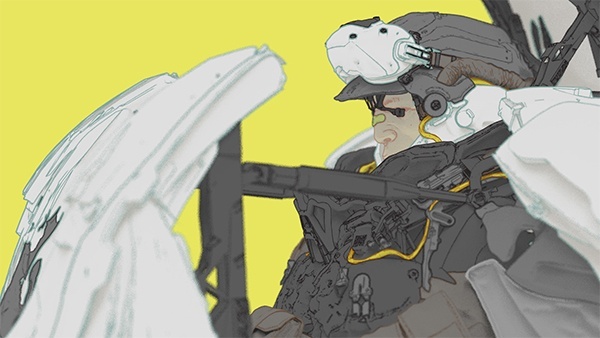 Learn more about how he got started and why he uses KeyShot to explore his character and scene development. We’re learning about new ways people are using the KeyShot Viewer all the time but these five are the ways customers have told us it has helped the most. The HDRI Editor in KeyShot Pro adds a lot of ways to control scene lighting. This quick tip shows you how to extract pins (lights) from a KeyShot .HDZ file to adjust to your liking. 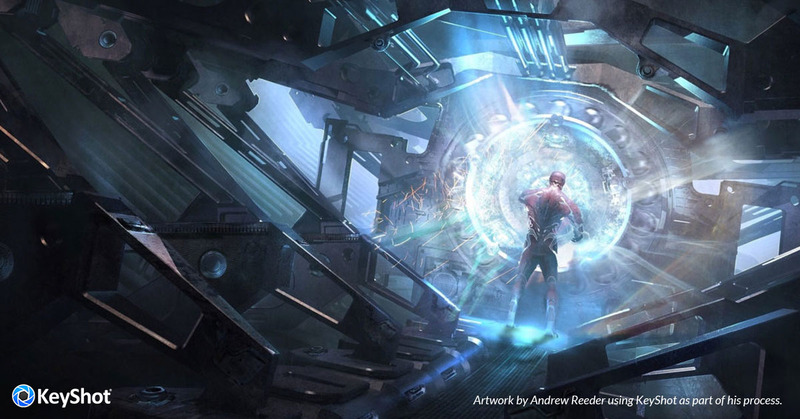 Catch a recap of this KeyShot RenderWorld workshop where Will Gibbons shows you how to refine the beginning-to-end process of building a KeyShot scene while taking advantage of time-saving techniques. 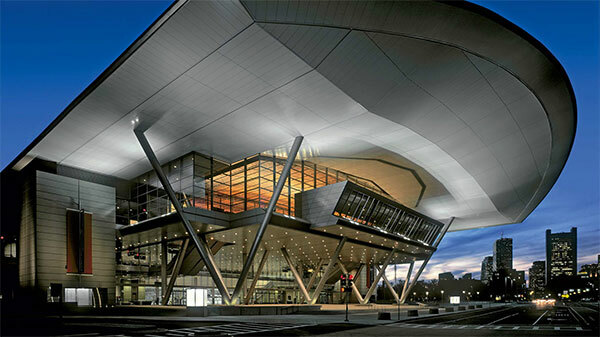 Join Luxion at these upcoming events to see the latest developments with KeyShot and learn how KeyShot can create amazing visuals of your 3D data. Will Gibbons at KeyShot RenderWorld 2018 shows you how to refine the beginning-to-end process of building a KeyShot scene while taking advantage of time-saving techniques. Click here to watch the KeyShot Webinar. Version 1.6 of the KeyShot for Rhino plugin is compatible with KeyShot 7 and Rhino 6 on both Windows and Mac OS X. We recommend updating your KeyShot 7 license to KeyShot 7.3.40 – you can check to see if you’re on the latest version from the KeyShot Help menu. Though this is the only update for the plugin, we look forward to see how you are using the new version of Rhino and KeyShot together. 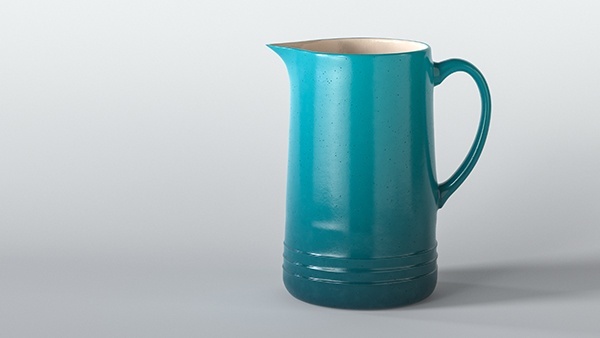 A valid license of KeyShot 7 and Rhino 6 is required for import and LiveLinking. As always, the plugin is free and may be downloaded on the KeyShot plugin page. If you missed the last webinar showing KeyShot viewer, you can watch it now to see how to use it in share scenes, configurations and collaborate with others.